Help you or your children to Learn to play Violin. It is a great skill to have. The Violin is one of those instruments that can sound so appealing. It can be soothing or jarring, mellow or pulsing. It is a very expressive instrument and when you learn to play violin well, you can use it to entertain yourself and others. In recent times, Violin music has been transformed from just the classical music to a more modern sound. Have you heard of the band, Bond? They have taken playing violin to a whole new level. Who would not want to play violin after hearing the Bond Girls? Their music makes the violin seem more relevant to children of all ages. How did they get that good though? They started to learn violin as beginners and then spent countless hours practicing. No good thing comes without taking the time to perfect one's art. The way Josh plays the violin is novel. His form of Violin Music may not appeal to everyone but it will definitely appeal to the young ones. Wouldn't it be amazing for your children to learn to play violin with confidence? Learning Violin is not an easy feat by any means but it is a worthwhile venture for your child. Learning to play music opens up a different part of the brain than just learning all the sciences. It makes a child more creative and more able to think outside the box. In this day and age, we need all the creativity we can get in order to make headway in a world where job security is a thing of the past. Our children need as much help as they can get to excel. What better way than to let them learn to play violin? And why it never happened. I have always loved playing music and still remember being called 'Mozart' at school as I was one of the only people who remained interested in music after the initial compulsory classes that we were all made to take. I had great dreams of learning to play the Violin but alas, my dreams were thwarted as I lived in a third world country and lessons were too expensive to consider! The other thing was that there was no internet then! 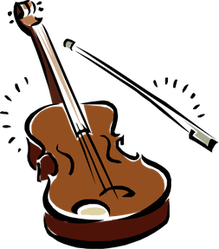 The possibilities are now endless if you would like to learn to play violin online. Suddenly it is not exorbitantly expensive and it becomes accessible to anyone, particularly if you or your child are just starting out. Do not let my story be that of your child. Now with the accessibility of the internet, you and/or your children can get started learning to play the violin immediately. We all know how difficult it can be to keep to a training schedule so who wants to spend money on expensive lessons before being certain that the quest to learnt to play the violin is something that will hold the attention fo your child for long enough to get good. Eric Lewis, a professional musician and teacher for 40 years has made his technique available to anyone who will sit in front of a computer and practice. Most of our children are used to a screen so why not use it for something useful like helping them learn to play violin. Violin Lessons online are such a great alternative to taking your child to lessons and paying the outrageously high fees for each and every lesson. If you live out of reach of a great teacher, then violin lessons online are a definite option. I just wish I had had the opportunity that is presented to young people these days. It is so much easier to learn an instrument when started young. Which Violinists did you prefer?